Corylopsis (Corylopsis): growing, planting, caring. 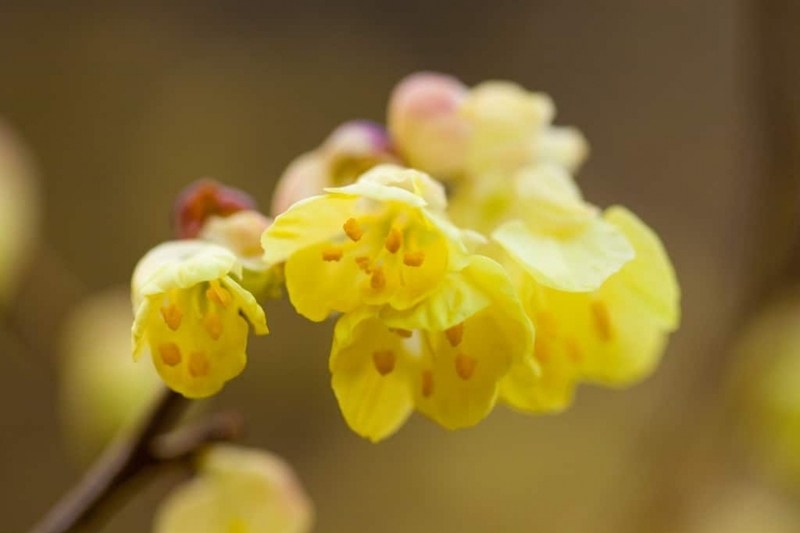 A superbe shrub with pale yellow winter flowering. Plant from late autumn to early spring, half-shade, in cool, non-soggy, rather acidic, humus soil. Make a hole twice as large as the root ball, without mixing the layers of soil - you will put them back in order at planting. Put back some of the bottom soil, and place your corylopsis at the proper depth. Do not bury the base of the plant, replace the soil and tamp well around the roots. Add some mature compost at the end of the planting. Form a hollow and water until the water no longer flows visibly, then mulch around the foot. Water thoroughly for the first few weeks after planting! Afterwards, you can space out watering to once a month. In following years, cease watering. This plant is indigenous and adapted to temperate climates. Just after flowering, trim your plant slightly. Eliminate tangled branches, receding branches and possibly some large branches, at their base. You can multiply the corylopsis by layering in October: bend soft branches until they touch the ground, fix them in this position, and wait. After a few months they will have roots in contact with the ground, you can separate them from the foot and replant them further.